Bangdong, a village, in South Korea is a quite well-known place for its wonderful scenery. Surrounded by mountains, tea gardens, bananas, corn trees all around, and cold breeze with astonishing nature will make your journey more thrilling and breathtaking. 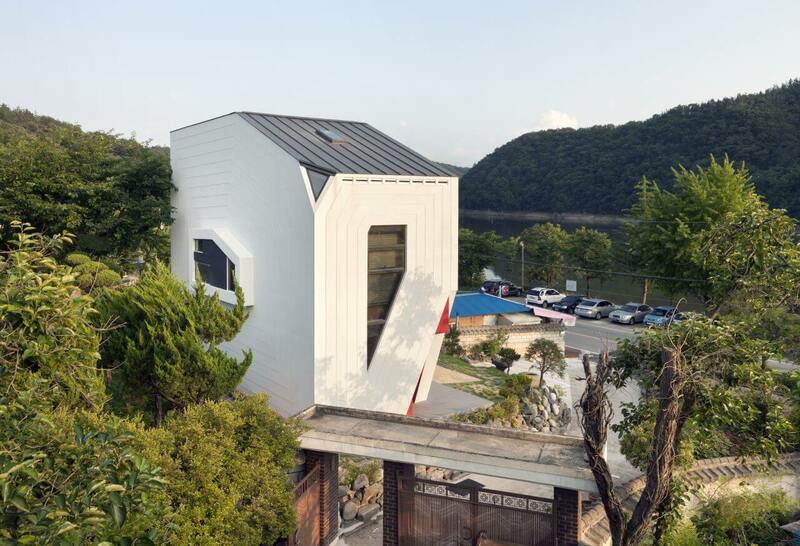 Near the Bangdong lake, there is a Conan house which means a “toy house”. 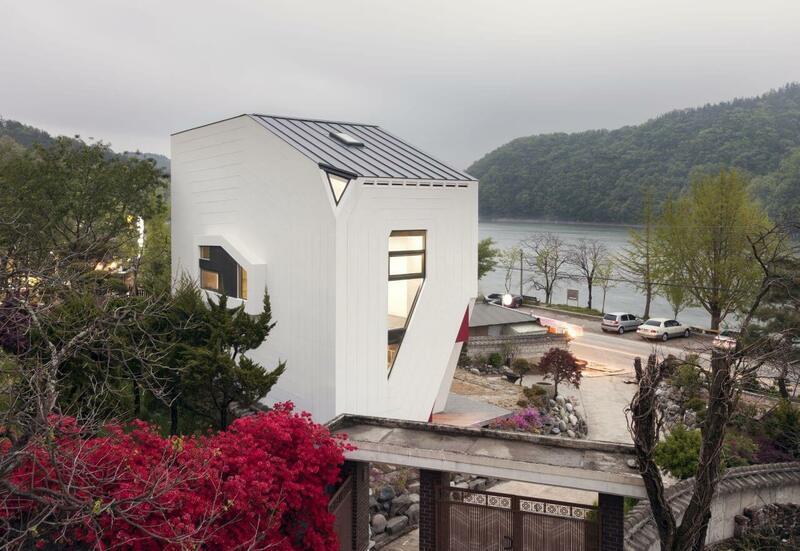 It is designed by an eminent South Korean architect, Moon Hoon. This timber-framed house is unique in terms of its design. To make it more eye-catching the architects have pruned the corners. Without the corners, it looks more striking yet stunning. 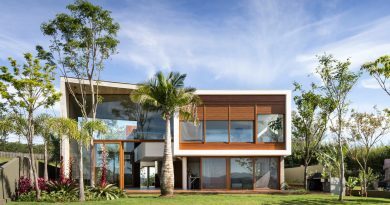 When it comes to the design of the outer area, it will surely draw your attention as it is framed out of multiple layers. 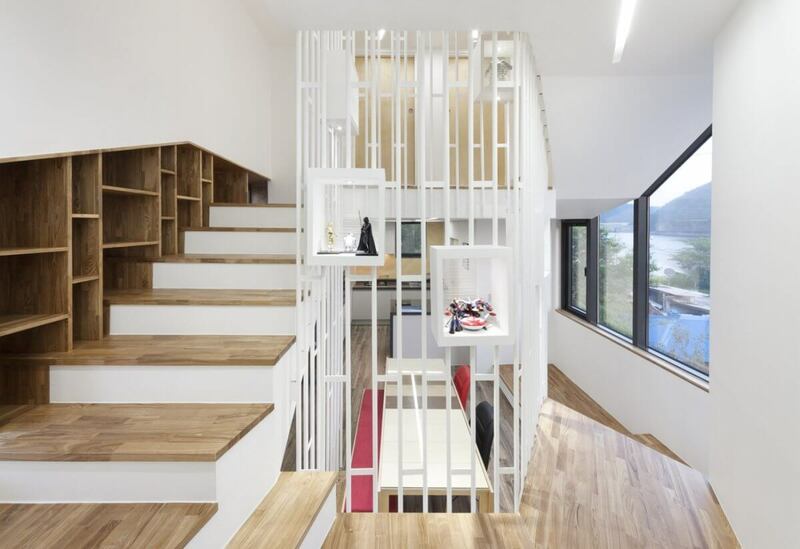 Interior is made up of small floors that are connected with a spiral staircase.This house is built near the lake which is a popular tourist spot in Bangdong. In the frontal section of the house, polygonal designs are crafted and a window is created in the center. 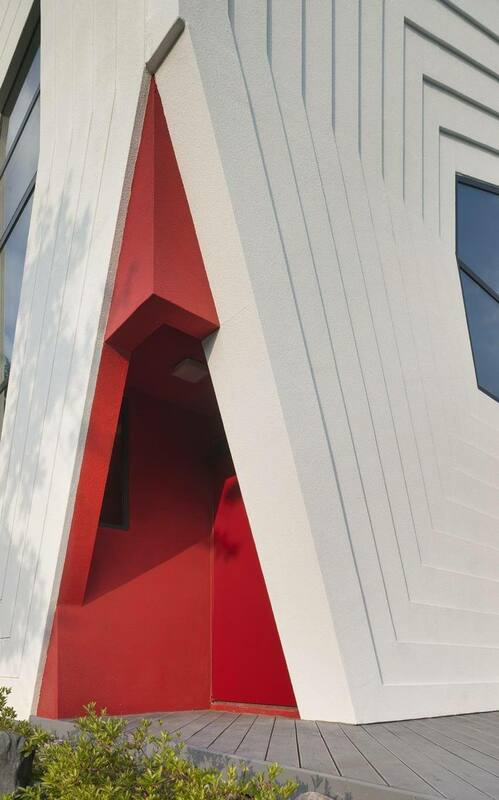 It makes the house facade unique and attractive. 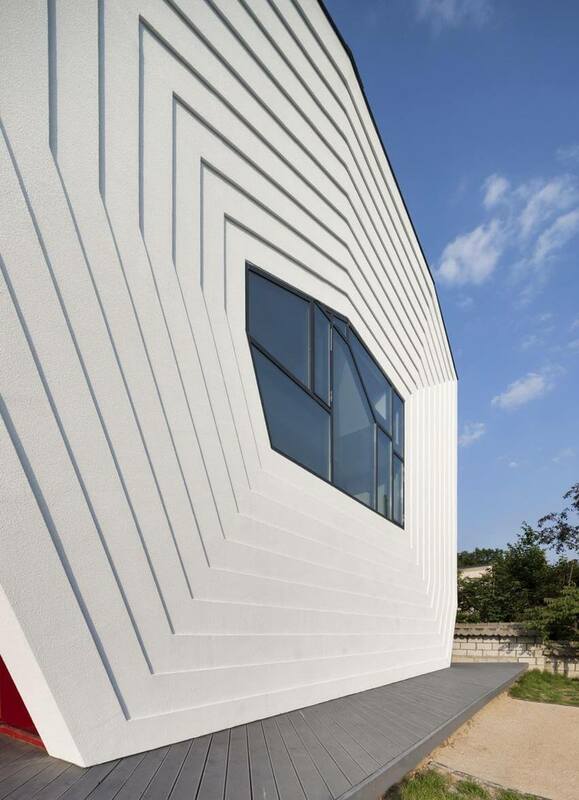 Actually, it is designed as a small family house for a local TV producer who is a fervent collector of toys. His robots & miniature toys are placed throughout the home. The staircase is particularly designed in such a way that it can be served as a demonstration area. In the railings, square-shaped boxes are created where the client’s favorite toys are placed. Interior comprises of wooden floors with white walls and spiral stairway up to the attic. 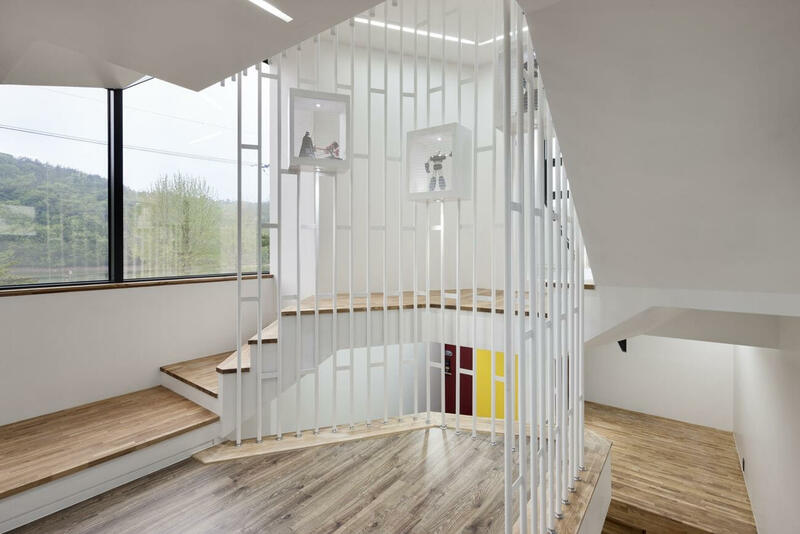 The staircase connects all other functional rooms and it plays multiple roles in this house. It is designed to showcase the client’s objects and toys. In this three storey house, there is a communal room on the ground floor. Bedroom and dining room are on the second floor. 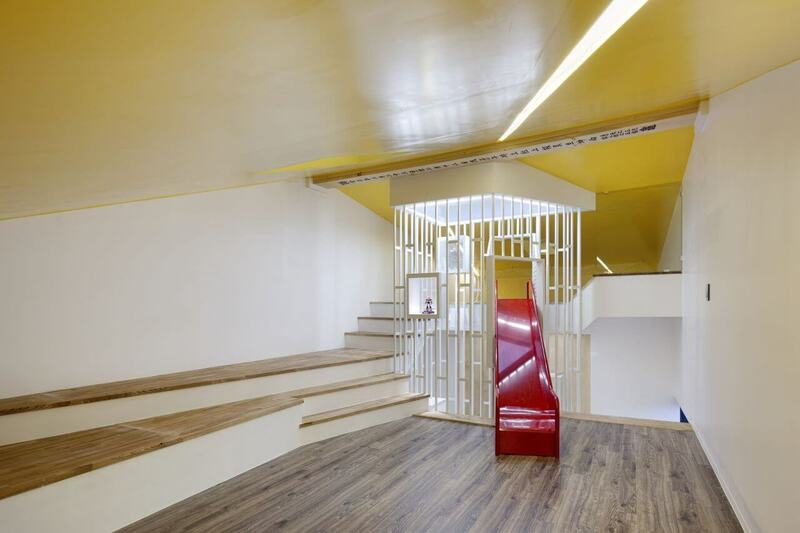 A playroom with the bright yellow ceiling is located on the attic where you can find a small red slide for playing. On top of the building, a small horizontal window is created in the middle which reflects the sunlight towards the stairwell. 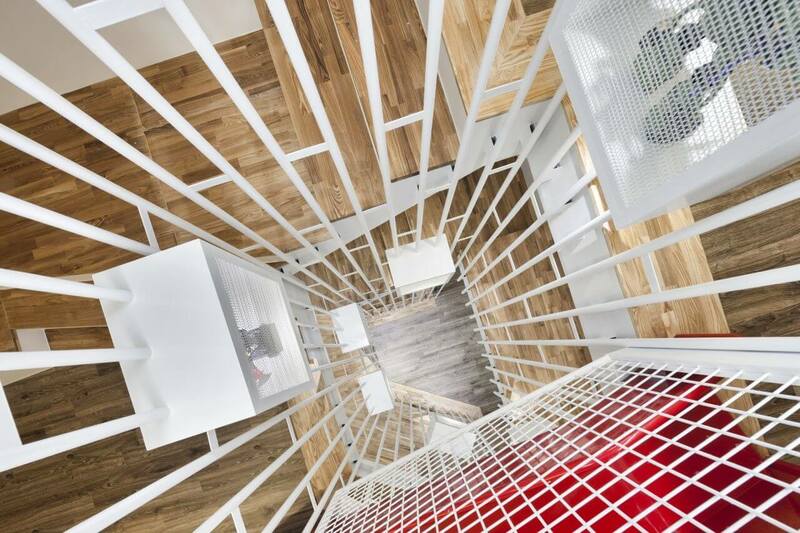 Because of the spiral-shaped railing, the light directly goes to the ground floor and it looks like a light well. 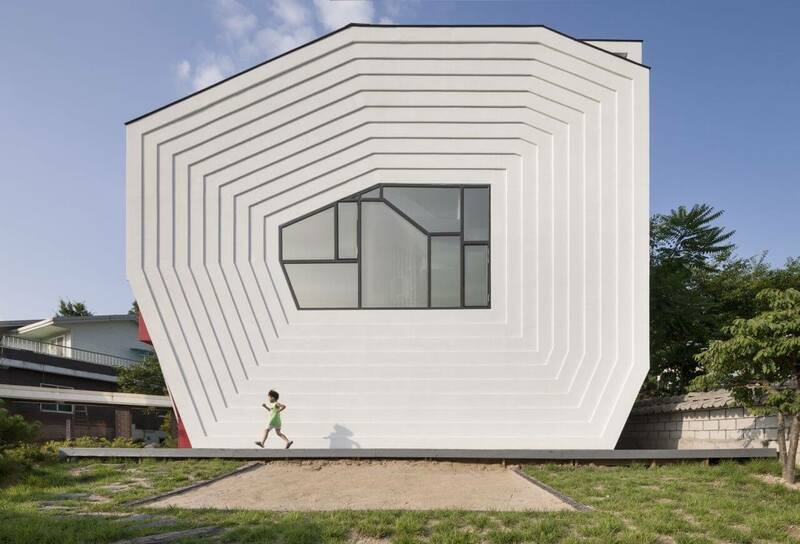 Moon hoon is a famous architect and inspired by Hoon’s previous works, a client asked him to design a playful house where he can show his toys collection. From outside it looks like a sculptured object but it is actually a playhouse. 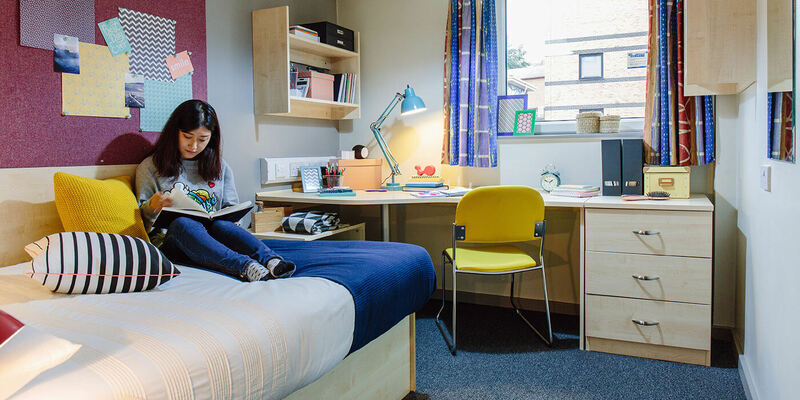 What Are The Benefits Of Living In The Student Accommodations?